As April draws to a close, we’d like to thank all of the BLP poets who contributed to our poem-a-day feature during National Poetry Month. To cap off the month, we are proud to feature Mary Biddinger, whose chapbook Saint Monicawas recently published by Black Lawrence Press. bless me. Your hands were the gentlest. would dare itself to cross your back. It’s $35 to attend, but with a lineup like that, it’s probably worth it. Update: I recently learned the Jack Gilbert passed away Sunday, November 11. You can read more about that here. 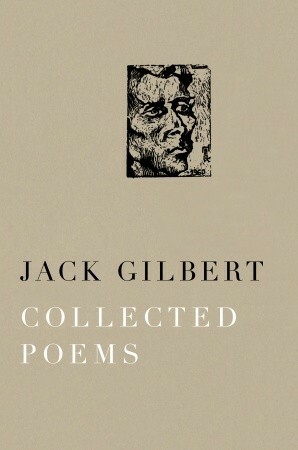 I came across this set of interviews with Jack Gilbert today(April 23, 2012). He’s one of my favorite poets, and I’ve mentioned him on UnIambic several times. I love the simplicity, the sincerity of his poems. How he’s able to be completely at ease pouring out intense emotion without being sentimental or maudlin about it. In the interview he discusses some of his apprehension with publishing, his disappointment with much of the contemporary po-biz and his poor outlook on the future of poetry. OK, some of that I agree with, but I also feel he shortchanges poets in a big way. Yes, there are the career-minded poets, the post-modern tricksters, the posers and all the rest: “Much of postmodern poetry has no significance at all.” But he overstates how much poetry or poets have changed, and underestimates the sincerity of many of today’s poets. That’s not surprising really. For a large part of his adult life I believe Gilbert has lived a partial hermit’s life, if not physically (as in the years he spend on Greek islands) then mentally or emotionally. He’s a person who thrives on removing himself from the pressures of the rest of the world, while he focuses on the inner world. His craft is not the obvious, meticulously tinkered craft, but it’s a craft that shows he understands the workmanship of writing, the effort that goes into making something feel effortless. Anyway, this interview, while illuminating, also makes me sad because I don’t feel poets and poetry warrant the negativity and pessimism he heaps upon them. I hope and believe he’s wrong. 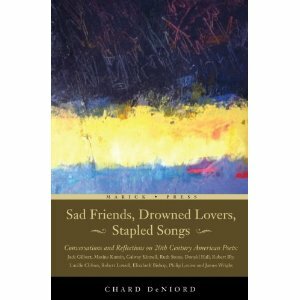 The interview is from the book Sad Friends, Drowned Lovers, Stapled Songs which I’ve just added to my Amazon wish list. 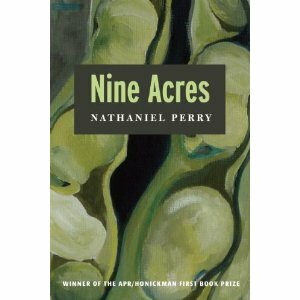 I recently conducted an interview with Nathaniel Perry, author of the very fine collection of poems Nine Acres. I encourage you to get over to the the American Poetry Review to read the whole thing. Grant Clauser: Did the concept for this book develop after you’d already written a few of the poems, or did you envision the collection and then write to fit within the mode? Nathaniel Perry: I did write a few of the poems first and then the concept came to me pretty quickly. I think the first poem I wrote was the one with the seed catalog (“Vegetable crops to Avoid and to Choose”), and it happened to be in that form of simple rhymed quatrains in tetrameter, and I had maybe thought of doing a group of 10 or so with the titles from the M.G. Kains book, but the form felt fun, and was engaging for me, and I soon decided I was going to do all of the chapters. I guess I didn’t initially even realize it was going to be book-length. GC: I find this book to be very much like a journal—recounting the events of a year. Like a journal it tells a story, without relying on narrative. How fully formed in your head was this narrative when you were writing it? NP: Strangely, not really at all as I was writing it. I assumed that I would put the poems in the order that they appeared in the original book, but then somebody pointed out to me very late in the process after I had already written all of the poems that there were 52 poems which was equal to the weeks in a year and it dawned on me that they could fit into the cycle of a single year. I remember taking all the poems and just sorting them out by spring, summer, fall, winter and seeing what that looked like and being pretty happy with that. I’m still happy with it. GC: I noticed shifts and waves in the relationship between the husband and wife throughout the book. NP: Well, you’re married. There are always shifts and waves. I won’t hide behind the fact that many of these poems are sentimental and sweet, but I like to think that’s still possible without being necessarily bad, and so the way to do that is to be true to the way relationships are. They can be hard and frustrating and full of doubt while simultaneously being joyful and intimate and full of starlight, so I wanted to show what an actual relationship looks like. You’ll find a sample poem at Poetry Daily. My new guest post at the Musehouse blog. When I was a college student, my first creative writing teacher told the class that there were two kinds of writers: those who wanted to write and those who wanted to have written. He may not have been the first person to say that, but it’s still one of his many sayings that resonates with me now, 25 years later. Once again I’m torn over National Poetry Month. Obviously I like poetry. I guess I’d like more people to like it too, to appreciate it as much as they appreciate The Hunger Games or Toddlers and Tiaras, but I know that’s not going to happen. 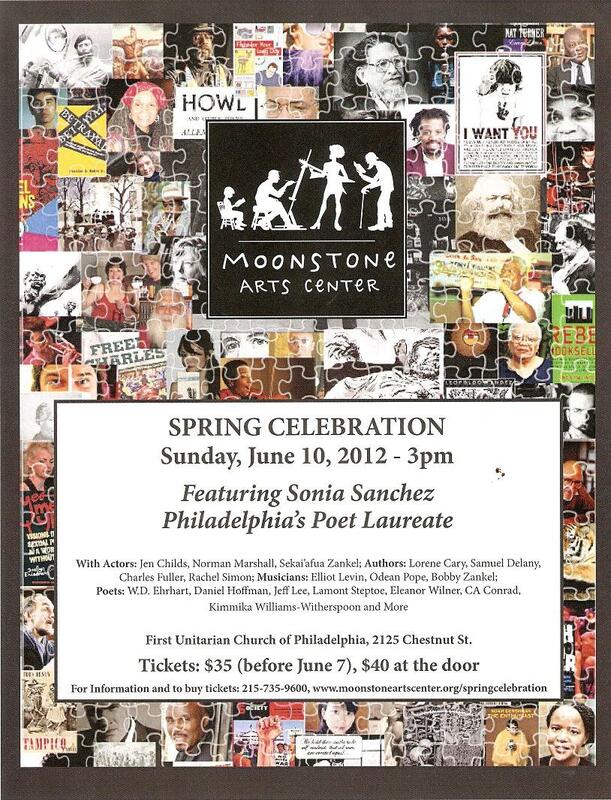 Every year NPM comes along to remind the public that poetry didn’t stop with their 8th grade English class assignment to interpret a Robert Frost poem or write a haiku about spring. I’m sure National GeoCashe Month is a bigger deal to most people, but what the hell, might as well embrace it right? Right, until we were tortured last year by Oprah’s poetry issue of O magazine. While I’m thankful that April is usually filled with more readings (and the beginning of trout season) and poetry events (I’m doing several myself this month), I always feel that NPM has a way of trivializing poetry, making it seem more quaint and oddball, reinforcing the public’s perception that poetry is best left to greeting cards. NPM gives TV, radio and web editorial planners something to plan around. They look for poetry story angles that will connect it to a wider audience, but they treat it as more of a curiosity, like a two-headed calf at the farm show, but not something most thinking people actually want in their homes. 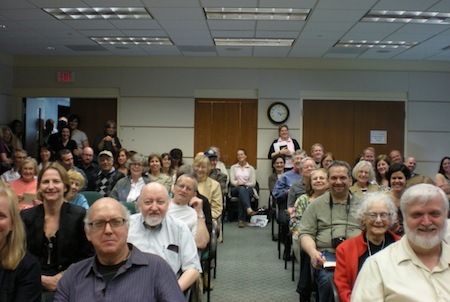 During the month of April poets get treated only slightly better than Punxsutawney Phil on Groundhog’s Day—we get pulled out of our dark holes and shaken in front of a crowd, only to be shoved back in before we get the chance to say much. People who shouldn’t be writing poems write poems like this.